This may be a surprise to some, but I don’t think that having a new US History Women’s Museum is a good idea. Nothing against women; if you read this blog consistently, then you know that I am generally against any and all museums that segregate people by race (there are several race-centric museums in the US), ethnicity (such as the planned National Museum of the American Latino in DC), gender (such as the National Museum of Women in the Arts in DC), or any other label, instead of leading efforts to incorporate those same people into the major museums. And yes, I do get the point that many of those “other major museums” are essentially mostly focused on mostly men from or of European ancestry. 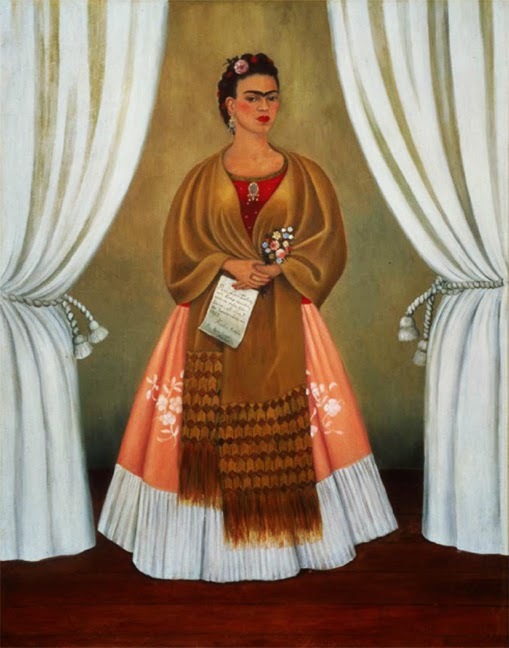 My original opening argument and position usually falls on deaf ears, and DC’s only Frida Kahlo painting remains in the NMWA instead of the National Gallery of Art, where it belongs. Nonetheless, it is my position and I’ve become used to people reacting to it by attacking me, rather than my ideas. That is, unfortunately, collateral spillage from the toxic political dialogue between the vast right wing conspiracy and the even vaster left wing nuthouse: If you disagree with someone’s political ideas/position, then you attack the person, rather than debate the ideas/position. First and foremost, mostly progressive, liberal women are allowed to be honored and included in the museum, regardless of any “firsts” or historical contributions that any overtly Republican or Conservative woman has ever made to American history. We’re not sure of Betsy Ross’ political leanings or most of those Revolutionary War women, so they’re OK, as long as the DAR is not too enthused about any particular one of them. Contemporary women are another issue and the one where all the headlines will be made. As such, in spite of the remarks that she made about Barack Obama, Geraldine Ferraro must be included and honored as the first woman VP candidate from a major party; but Crom save the poor curator who suggests even mentioning Sarah Palin! Second doesn’t count anyway... right? Representative Jeannette Rankin of Montana was the first woman to serve in Congress, and she’ll probably need to be included, even though she was a Republican. But since that was in 1917, those were the “good” Republicans back then, so she’ll be OK.
All the other such female political “firsts” will of course need to be there – after all they led the way: Hattie Wyatt Caraway (first elected female Senator), Nellie Tayloe Ross (first female elected governor of a state), Esther Morris (first female judge in the US)… and so on. The museum will then, in order to be progressive, have to include also female firsts according to race and ethnicity. 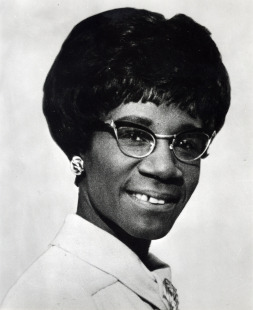 And in the race category, no one deserves to be there more in these segregated categories than the vibrant Shirley Chisholm, the first African-American woman elected to Congress – and in 1972 not only the first woman, but the first African American (period) whose name was nominated for President. She was also my Congresswoman when I lived in Brooklyn and my Congressional sponsor for the US Naval Academy. She nominated me in 1977 (and I was accepted and offered an appointment!) for the class of 1981 – I declined the appointment and instead went on to the University of Washington. When Chisholm found out, she called me and yelled at me for half an hour on the phone and damned near changed my mind. She is one of my personal heroes! If Shirley is not highlighted in this museum, I will be pissed! The first Latina elected to Congress will be hugely problematic to include, as she is the fiery, brilliant (and very right wing) Republican Ileana Ros-Lehtinen; a fellow peeps Cuban-American and another personal hero of mine. I suspect that she will barely get a mention. Five gets you ten that California’s very cute Loretta Sanchez gets more attention (even though California’s Lucille Roybal was elected first, and no, I am not objectifying congresswomen…). And what will the museum do about Condoleezza Rice? After all, according to Rutgers University Professor Francois Cornilliat (who is apparently not a fan of free speech), she’s “not a role model”, and 50 or so opinionated Rutgers students think that she is a “war criminal” … Sorry Condie… cough, cough. Sally Ride, the first American woman in space should be there… is that the best astronaut name ever? Mae Jamison, first African American woman in space and Ellen Ochoa, first Latina in space, will also be there… other possibilities are first Jewish woman in space, first Asian-American, etc. Nanny Pelosi, as the first female Speaker of the House is a shoo-in and rightly deserves to be there, will be there, and it better be a damned good spot! Although all the high schools and streets are named after Cesar Chavez, once you do a little research, one realizes that Dolores Huerta actually carried a lot of the load, did a lot of the organizing and seldom got the credit that Chavez did; reserve a spot for Huerta. Military US women who paved the way for today’s sailors, soldiers and airwomen should also be honored and a special scientific spot as well should be reserved for Admiral Grace Hopper. And they better have a friggin’ good spot for the incredible Civil War exploits of Loreta Janeta Velazquez, the Cuban woman otherwise known as Lieutenant Harry T. Buford during the war. Think of how many angles the museum can cover with that selection! I'm pretty sure that today's Hollywood does not allow any Conservative woman to become a leading star, so we should be pretty safe from debate with anyone from the 60s onward. If entertainers are included, don’t forget Rita Hayworth (born Margarita Carmen Cansino in Brooklyn) as she can cover the Hispanic angle as her father was from Spain, but not the Latina angle, as her father was… ahem, from Spain, and as some people know, Spain is actually in Europe and not Latin America… cough, cough. Female athletes will be easy: Sports Illustrated has already assembled a list of the top 100 female athletes ever – just pick the Americans out of the list. If only everything was that easy! Good luck to the US History Women’s Museum; I know that your intentions are good, but you should have fought better to have American women contributions to American history better represented in the American History Museum, rather than segregating women in their own museum.